Another week goes out, another weather system moves in… and it’s time for another Weekly Roundup!! 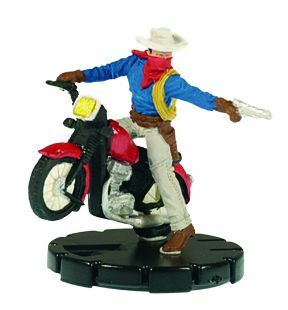 –Dial H for Heroclix was new again this week with Episode 35! The guys discuss, among other topics, how SLoSH will affect the current Meta, but first they discuss What They Played! This segment was extremely interesting to me this week as I designed a team that Drew selected to play for this month’s Best Build! You’ll have to listen to the show to see how Drew did with my team, but I had a lot of fun building that force. Also, a new Dial H Dial Design Contest for March over on HCRealms.com should be up by the time you read this. This first week has a St. Patrick’s Day theme, I believe. –No news is, well, NO news, I guess, on the Duo Attack front. Looks like it’s still dead, Jim. In fact, none of the Awesome PodCast Network shows have an update on the APN Facebook page more recent than February 14th. Oh, it’s called the Quarry cuz it covers the ROC. I get it! –The Quarry was back new again this week as DarkLogos and the gang prepare themselves for MARCH MASS HYSTERIA!! 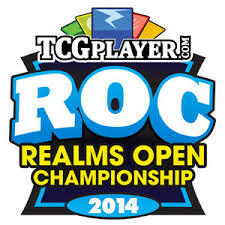 There should be shows coming every week now dissecting the recent Top 16 results of major ROC tourneys. The ESPN-like roundtable segments are my favorite thing on this podcast (it’s awesome to hear top-level players talking about why teams should–or in some cases, shouldn’t–work), but often host Edward Shelton will interview winners, judges and top finishers from many of these events as well. Check it out. –The ROC is updating its prize structure! Basically, they’re getting rid of the $100 TCGPlayer.com gift certificates and instead awarding Convention Exclusive LE’s. Read all about it here. –New ROC Super Qualifier announced for Hanford, California! –Plenty of results to peruse from the Western Canadian $1K Open Realms Open Championship Super Qualifier. –Really just another X-Men: DoFP preview. Avalanche isn’t going to get anyone too excited, but he’s not bad for his point level. –Movie Lady Sif is guest-starring on Marvel’s Agents of S.H.I.E.L.D. this week. Which means that, should we ever get a MAOS TV set, we could see another Marvel Studios Lady Sif! Jaimie Alexander is fun to watch in that role, so count me in for this week’s episode! –After a flurry of casting announcements the last few weeks, no real movement to report on Batman Versus Superman or Gotham. –WizKids released a statement saying that Captain America: The Winter Soldier was delayed a week due to inclement weather related shipping issues and NOT because–as many Heroclix enthusiasts have speculated–a brilliant blogger managed to piece together the entire setlist on the eve of its release. Sooooo… yeah. Heh. Well, that’s all the news that’s fit to print this week. See ya later this week for more articles.